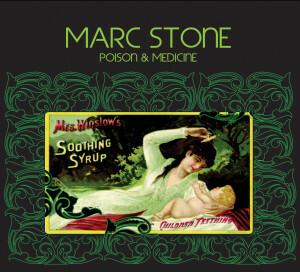 New York City-born, New Orleans-adopted guitarist Marc Stone has become one of the most respected Blues and Roots artists in the Crescent City, earning him a “Best Blues Artist” nomination from Offbeat Magazine. Stone has spent the last 20+ years backing such an astounding litany of Louisiana Blues, R&B and Zydeco legends including Eddie Bo, Ernie K-Doe, Marva Wright, Tommy Ridgely, Marcia Ball, Henry Gray, Rockin’ Dopsie, C.J. Chenier, and Grammy winner Terrance Simien. 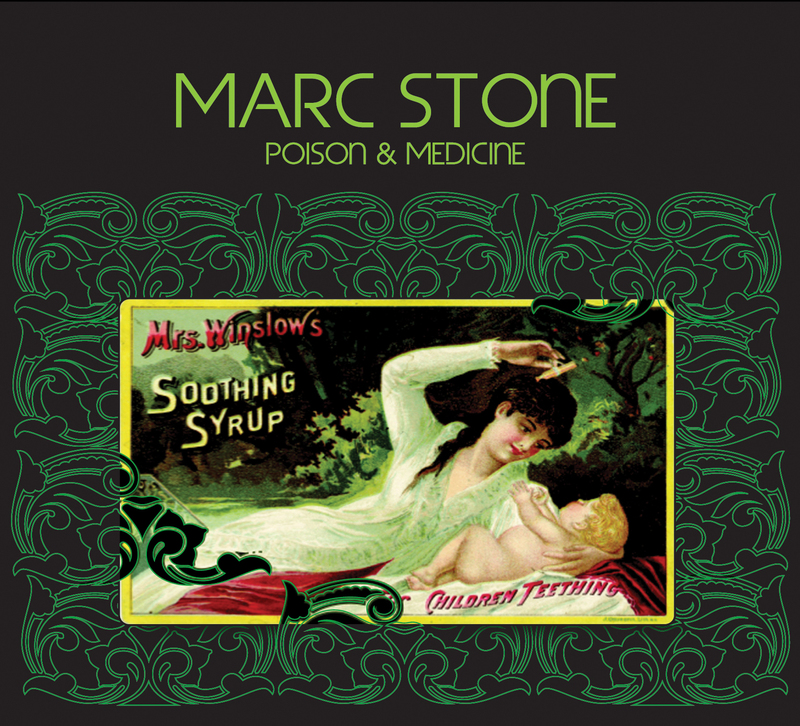 Stone original music weds an impressive roots-music pedigree with red-hot slide playing and outstanding storytelling. Stone’s funky acoustic slide and haunting vocal blends with syncopated percussion and upright bass courtesy of Honey Island Swamp Band rhythm section and Patrick Williams’ bluesy harp and for a dark ride through the lowlands. This gritty, grooving soul-rocker gets the special sauce from co-producer Papa Mali’s magic touch. Featuring Stone’s red-hot electric slide and tube driven vocals. New Orleans percussion master Ken “Afro” Williams (Chocolate Milk, Allen Toussaint, Dr. John) locks up with Carlo Nuccio’s down and dirty drumming and Galactic’s Rob Mercurio’s pulsing bass for a monster groove while members of The Honeypots and St. Cecilia’s Asylum Chorus conjure up classic Ikettes style background vocals. Big horns drive this cover of a hidden gem by NYC Blues legend Sterling Magee aka Mr. Satan. Members of the Dirty Dozen Brass Band and Walter “Wolfman” Washington’s Roadmasters mix it up with singers Lillian and Tanya of the fabled Boutté family backing Stone’s testifying vocals and growling, singing wah-wah guitar work. The balls brass of Bonerama meets Mike Dillon’s supple percussion to complement Stone’s tasty classic Blues licks and tongue-in-cheek vocal. Shades of smooth Southern Soul with a rockin’ kick. The HISB rhythm section returns and goes electric on this dark, swirling trip led by Stone’s pleading vocal and melodic 12 string slide solo and driven by Garland Paul’s jazz and hip hop beats, Sam Price’s liquid fretless bass and Mike Dillon’s masterfully inventive vibes playing. An in your face, Latin influenced minor key grind delivered with Stone’s sardonic vocal and soaring lead guitar. Organ master Joshua Paxton takes a funky solo turn, evoking the flavor of the iconic “She’s Not There” organ ride and bass virtuoso Jack Joshua steps out of his rock solid pocket to unleash a few perfectly timed gravity-defying runs. 1962 preserved in a whiskey bottle, complete with an ear worm Farfisa hook and an Exile era Rolling Stones kick on the bridge. An all-star cast including Big Al Carson and Benny Turner lays down street corner doo wop around Stone’s soulful lead. Mean and nasty Rock n Roll with Stone’s snarling lead vocals, dirty guitars and a barnburner Telecaster solo. The 4 piece horn section and the Boutté’s churchy vocals put this one over the top. Heartbreak goes to church as Papa Mali leads members of the Honeypots and St. Cecilia’s Asylum Chorus through Aretha-approved background vocals behind Stone’s impassioned lead vocal and tasteful Cornell Dupree influenced guitar fills. Josh Paxton delivers a devastating B3 solo before the heavenly voices and Stone’s soul-drenched lead playing take it home.